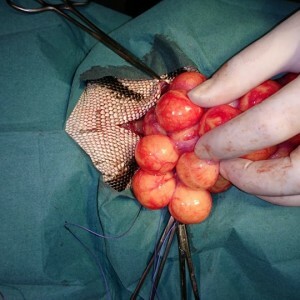 Before I tell you the story about an egg bound Iguana named Kerne, the danger this presented to her, and images from her surgery, let me first explain to you what egg-binding is. 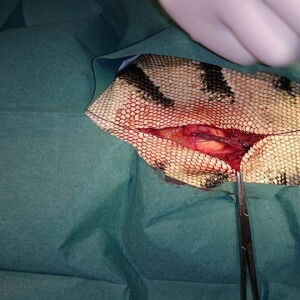 Egg-binding (also referred to as ‘dystocia,’ ‘egg retention,’ or ‘post-ovulatory stasis’), is common in many reptile species. Egg-binding occurs when a female cannot pass the mature eggs formed in her reproductive system. In one survey it was found to occur in approximately 10% of the reptile population. 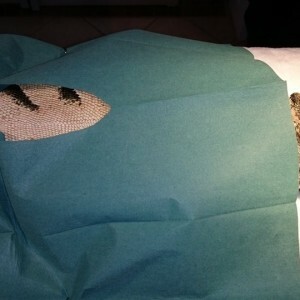 It is reported more often in snakes and turtles, and less so in lizards. 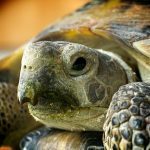 It is unclear if the difference is due to more snakes and turtles being bred, or if there actually is more dystocia in these species. 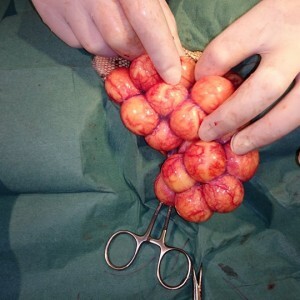 Complications of egg-binding include death of the young or eggs, peritonitis, inflammation and scarring of the reproductive tract leading to decreased fertility in the future, and death of the female. Kerne is an 11-year-old lizard, and this was the first time she ever produced eggs. 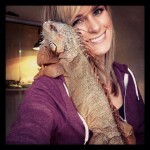 She was not a healthy iguana when her present owner, Merete, adopted her. Reptiles normally begin to produce eggs when they’re a few years old. 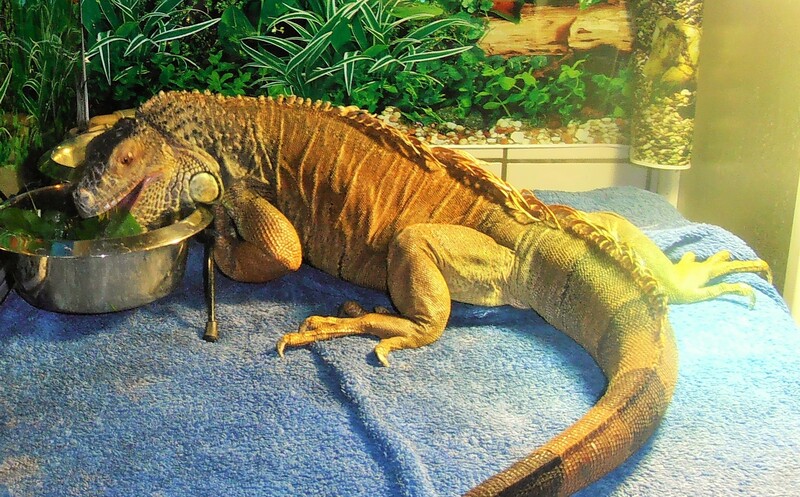 Her owner’s vet told her that the fact that Kerne was suddenly producing eggs was kind of a compliment to her and indicated new proper care of the iguana. Merete took Kerne to the vet, where they did a scan to find out what was going on. 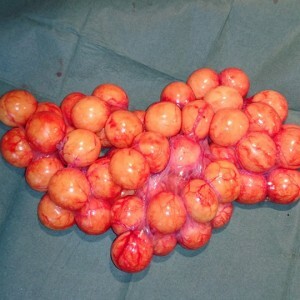 The scan showed many large eggs inside her that were not fully forming. The vet chose to keep Kerne at the Clinic overnight and give her medication to stimulate egg-laying (labor). Unfortunately she did not react to the treatment. Kerne was egg-bound. This can be lethal for a lizard. An operation was the only solution to Kerne’s problem by this time. The operation was performed and all the eggs were removed. Because Kerne’s eggs had not been fully developed, it would have been impossible for Kerne to lay them on her own. To avoid the risk of endangering Kerne with the possibility of this happening again, bother Kerne’s ovaries were removed. The operation lasted 3 1/2 hours. Kerne went home two days after the operation, looking very thin, tired and sore. After about 4 days, Kerne was full of life and ready to conquer the world. Kerne couldn’t understand that she must not climb, or shower, because of her stitches and required healing time. If you have an animal that appears to be having trouble laying eggs, or if you have any doubts about your pet’s health, do not hesitate to go to a vet and pay for professional advice. If Kerne hadn’t been taken to the vet, she quite possibly would have died within a week. Don’t take that chance. 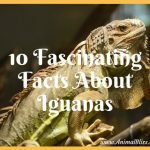 If you suspect you have an egg bound iguana, or other reptile, it is extremely important to determine the cause of the egg-binding prior to treatment. Do NOT try to treat egg-binding yourself – always take your animal to a veterinarian for expert advice. NOTE: I received permission to share this story from Kerne’s owner. 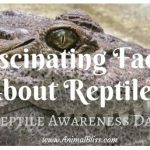 I am a member of a few reptile groups on Facebook, and I read about this in one of the groups. I have full permission to use the images as well. Wow! That’s a lot of unformed eggs! I found the following on the veterinarian’s facebook page who did the operation. It is a Bing translation, so the wording is odd in places, but I’m sure you’ll understand well enough how serious this condition can be. Operation of the iguana with læggenød. 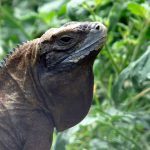 Here we are not talking about an iguana without opportunity to dig their eggs into the environment, but on the other hand, an iguana with optimal environment which unfortunately has developed a disorder (follicular stasis) where eggs are not finished are formed (and can be) but instead grows and grows in the ovary. 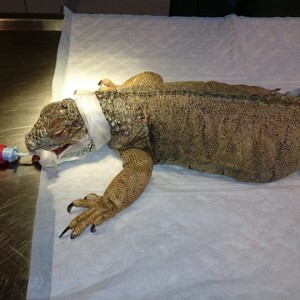 The disorder is fatal without intervention, but fortunately was extremely well taken care of iguana and fared dashing through the very long operation. This is Kerne, 11 years old. I am the owner of Kerne. 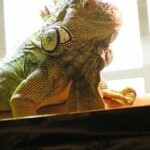 She is totally recovered after the operation.She is a happy and heathy iguana, and since her ovarys is removed, we will never come to that situation Again. You are free to contact me on FB at our profile “Kerne leguanliv” if you have any further questions. Interesting. I did not know about this condition. Tweeting this to my reptile-owning friends.